With around two thirds of website clicks coming around smartphones and other mobile devices, online casinos are waking up to the fact that gamblers have their phones in their hands, in their pockets, or close by at most points during the day. As a result, mobile poker sites have been springing up in abundance in recent years. Playing on your mobile device is flexible and convenient: you can play whilst sitting on the bus, in a cafe during your lunch hour, or just sitting on your sofa. It’s so much easier to whip your phone out of your pocket for a quick round of poker than it is to load up your laptop on a cramped commuter train. Our fingers are used to touch screens: there’s something so responsive and efficient about playing casino games on a touch screen device. Selecting options my tapping them and moving around a virtual casino by swiping your fingers across the screen seems so much more intuitive than using your mouse or your laptop’s keyboard. 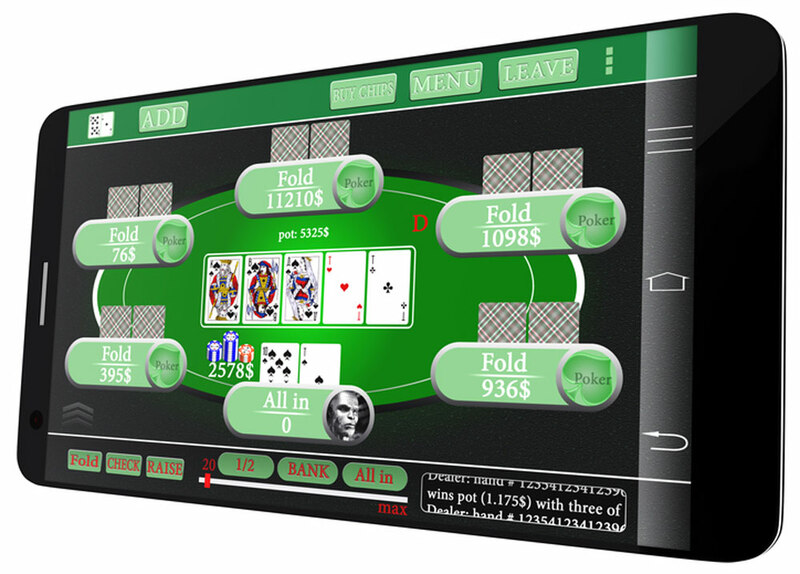 This touch screen functionality is usually not enabled by online casinos for laptop screens. Mobile casinos are offering mobile only bonus codes: online casinos are so keen to get your custom that they are providing bonuses galore for use on – and only on – the mobile versions of their sites. Apps provide you with instant notifications: are you tired of having to log in to your emails or your casino account every time that there is a new notification from the casino(s) that you gamble at? Download an app and you will get instant notifications of anything new that happens in much the same way as you do from social media apps – a buzz, a ‘ding’ tone, or a light on your smartphone. Usually, you will not be able to use a mobile app from a given casino unless you already have an account with that casino’s main website. However, most casinos then sync up their mobile sites and apps with their desktop sites. That means that if, for instance, you make a deposit via their website on your home computer, you can use that deposit when you access the casino’s mobile app as you sit in that boring bus queue on the way to work. Similarly, if you make any changes to your account via the app (for instance, upgrading your status to a VIP account), those changes will also be reflected when you log into your account on the main website. As mentioned above, though, some bonus codes are designed for use with a casino’s mobile app only: these bonuses cannot be used on the casino’s desktop site. We have written plenty of articles on different types of bonus codes and how to use them, if you are interested! Whilst the gap between mobile casino apps and casino desktop sites is closing fast, there are still a few limitations to gambling on your smartphone. Often, you will not be able to access all of the casino’s full range of games via their mobile app: only a select few of what are usually the most popular games will have been converted for use on your mobile. In addition, there are usually certain functions that you can only perform via the desktop site. Though many casino apps enable you to make deposits using a connected payment provider, for instance, it is rarer that an app will allow you to also make withdrawals. Deposit and withdrawal limits (if the latter are allowed) will also tend to be much tighter on apps than on desktop sites. Try a casino app today! If you have never played poker on your mobile for, now might be the time to give it a whirl. Most apps are totally free to download!